Divided back, Real Photo Postcard. 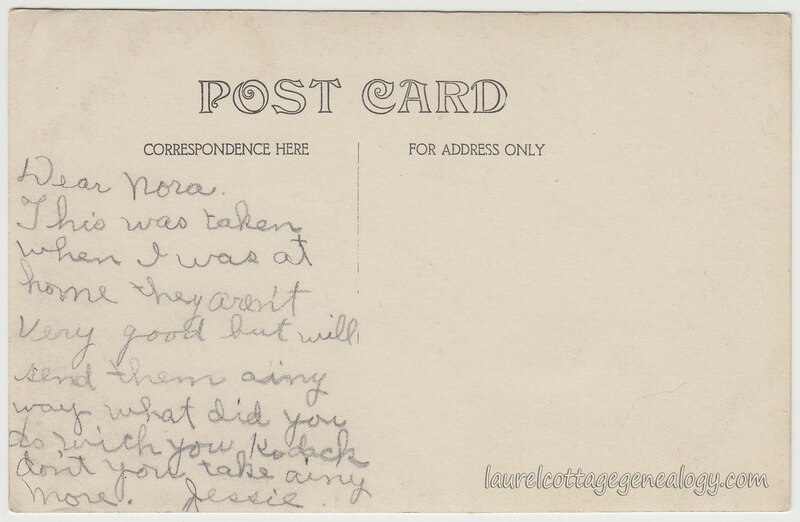 Unused, circa 1910s. 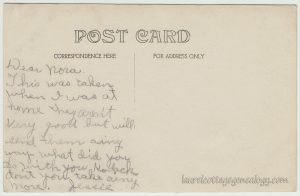 Sounds like Jessie had more postcards or photos that she had sent to Nora, and funny, but oftentimes we see the sender leaving off question marks in their message. In this case, Nora was asking what Jessie had done with her Kodak camera, isn’t she taking any more photos? No last name or location for this image, but it’s so charming. 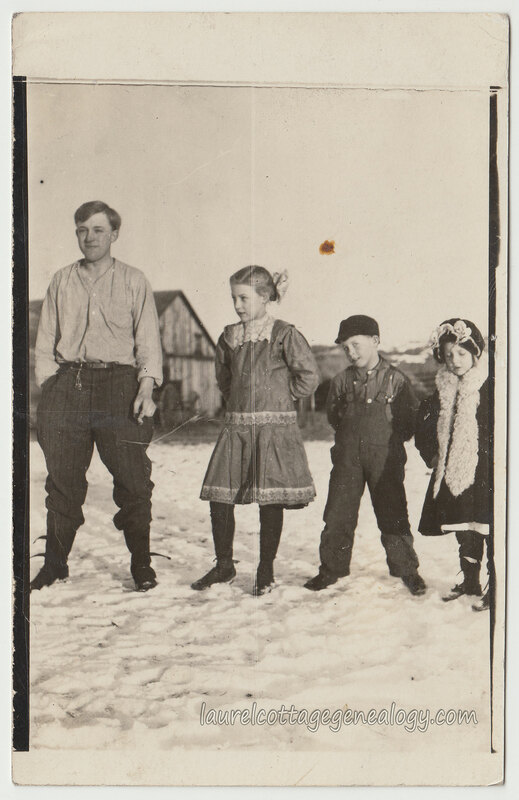 Wintertime or maybe early spring on the farm: Posing for the shot, three beautiful children, and a handsome young man, (who looks to be about sixteen, I thought, but click to enlarge, and you’ll notice it looks like he wears a wedding ring.) I love it when everyone in a photo is looking in different directions.